The CP Rochester family of employees is made up of hundreds of dedicated and compassionate people, from all walks of life, who are committed to the mission to serve. It is a testament to the culture of our agency that so many employees stay for 10, 20, 30, and more years! At various times during the year, staff are honored for many things: their years of service, and also for being a role model to other employees. 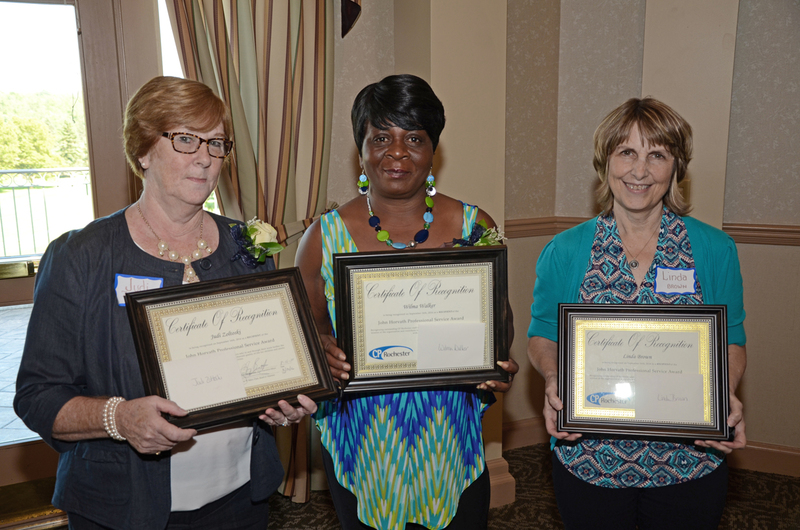 Please take a moment to learn about the wonderful people who have been recently honored at events that celebrate their success at CP Rochester! Click here: https://vimeo.com/183581283 to watch a video highlighting the three recipients of the John Horvath Professional Service Award. Judi Zoltoski, Wilma Walker, and Linda Brown proudly display their John Horvath Professional Service Award. John Horvath has been involved with the Board of Directors since at least 1980 and remains so today. He has been part of the Executive and Finance Committees holding various positions. John has also served as the Al Sigl Board Delegate and serves on the Finance Committee for CP of NYS. He is part of the CP Rochester Wall of Honor for his dedicated commitment to improving the lives of people with disabilities through effective Board Leadership. This inaugural award is presented annually to CP Rochester employees who in and through their work display the qualities and professionalism inherent in the agency Mission, Vision and Guiding Principles. 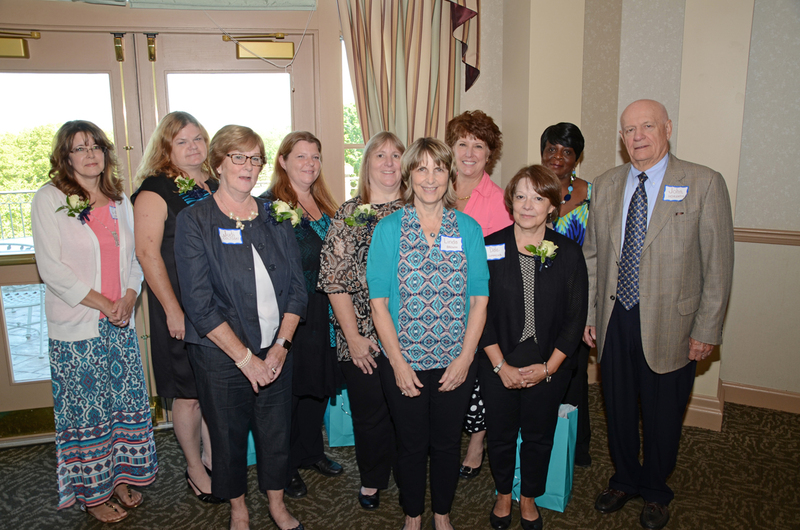 John Horvath (far right) poses with the employees who were nominated for the John Horvath Professional Service Award: Carol Strang – 15 years, Elma Reid – 12 years, Judi Zoltoski – 35 years, Donna Poccia – 18 years, Laura Hill – 18 years, Linda Brown – 26 years, Laurie Benwitz – 12 years, Dale Simmons – 21 years, Wilma Walker – 14 years. Not pictured: Kim Frye – 20 years. 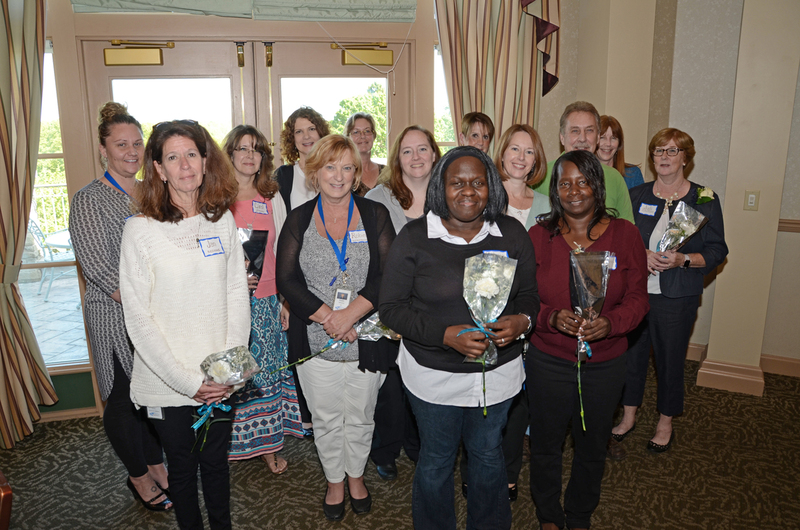 Pictured here are the employees who were recognized for their years of service: Jan Riccione – 30 years, Robin Dieffenbacher – 10 years, Melissa Nesmith – 15 years, Darlene Atkins – 15 years, Kristi Powers – 11 years, Carol Strang – 15 years, Anne Mummery – 10 years, Heidi Schuster – 10 years, Kate Leonard – 16 years, Helen Mahoney – 20 years, Joanne Huenemoerder-Dohse – 20 years, Tim Hillen – 25 years, Karen Boeschen-Gold – 30 years, Judi Zoltoski – 35 years. Not pictured: Charles Kolthoff – 5 years, Loretta Riley – 5 years, Melissa Hall – 5 years, Jonathan Moon – 5 years, Josh Gnage – 5 years, Elizabeth Jordan – 10 years, and Laurie Flowers - 15 years.